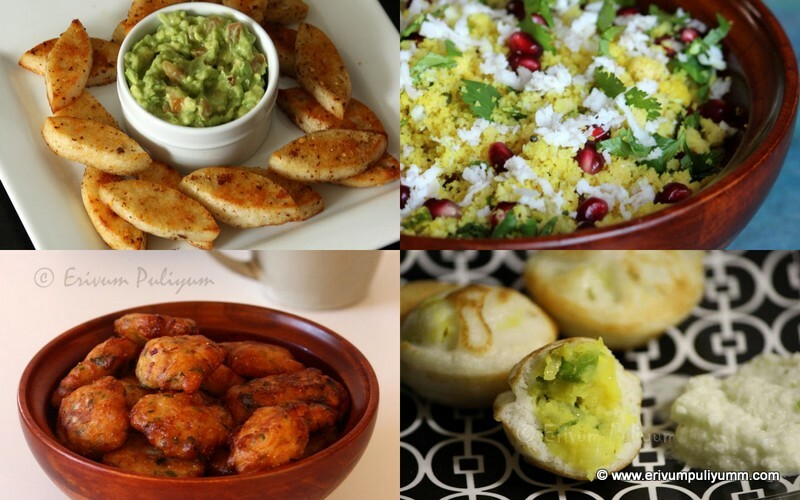 It all happened by chance and that chance was a really good way to sneak in a fiber rich veggie in the form of vadas. You may be wondering what am I talking about. Its about a simple tea time snack made with kappa- Kappa Vada. But unlike uzhunnu vadas there is no soaking and grinding. And I must say they taste delicious just like uzhunnu vada. The best part of these vadas is that none can distinguish the two tastes, it so well blended. I have already made these thrice and still the demand is high. I watched a potato vada recipe almost similarly done in a TV show and that's the real inspiration behind to make these vadas. The first time I made these I had some left over boiled tapioca in fridge and thought to try making vadas with them. When you have left over boiled tapioca then this is the best recipe that you can give a try. At my first attempt at home everyone enjoyed thinking it was uzhunnu vadas. At the end only I disclosed the secret ingredient in it is kappa. 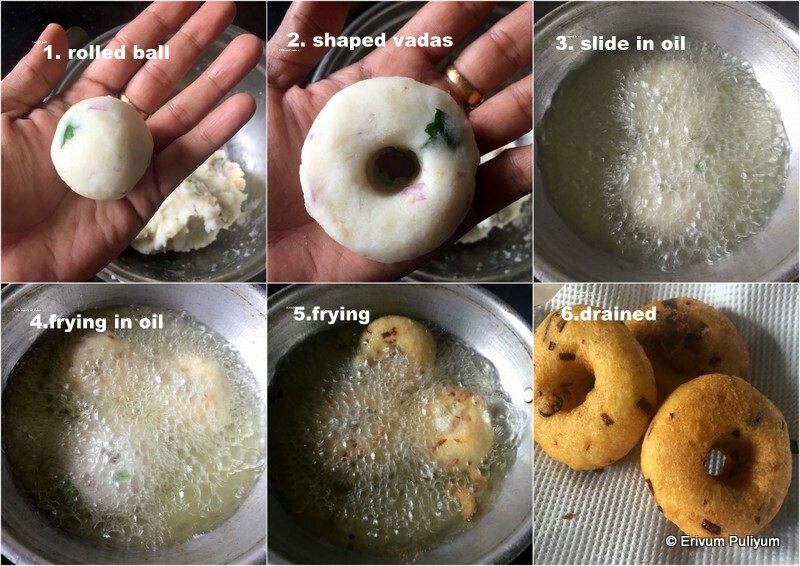 H was totally impressed with these vadas and now he gets more tapioca than required whenever he goes grocery shopping just to ensure that I make vadas for him, he he..The rava mixture adds the necessary stickiness to the dough like uzhunnu and so gets incorporated well. The outside of these vadas are crisp and the inside is soft just like uzhunnu vadas. As it gets cooled down the covers lose their crispiness just like any other vadas and at one glance and taste none will find out its mashed tapioca. We had these with coconut chutney and all loved it. Do give these a try,am sure you will be more than happy to have tried. 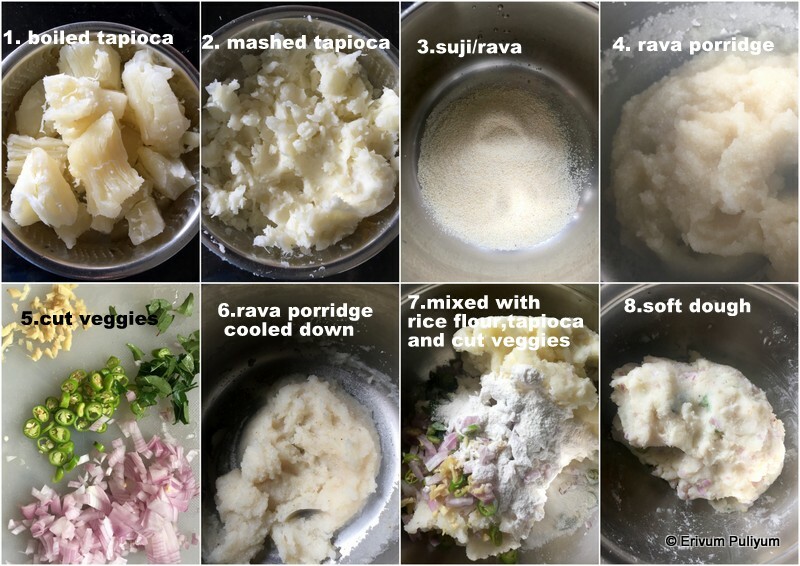 Boil the tapioca as you normally do, or refer this post here on how to clean and cook the tapioca. Drain and keep aside to cool. However,start to remove the fiber strands once its warm to touch. Then mash the kappa in a very smooth dough like. In the meantime, add 3tbsp of suji /rava in a pan and add 1/2 cup water. Bring this pan to heat and make a porridge(kurukku) like consistency or a roux like. Switch off flame and leave to cool. Once the suji/rava mixture is cool, mix this with the mashed kappa,add onion,fine chopped ginger,green chillies and torn curry leaves. Add the 2tbsp rice flour,salt and combine to get a dough like for chapathis (The dough may be a little sticky and you may not need any water to make this dough. Add more rice flour if you feel the dough is loose or else the vadas soak up more oil. I added only 2tbsp of rice flour). Wash your hands to get rid of the sticky dough remains. Then make 12 smooth lemon sized balls. Flatten it lightly and make a hole like we do for uzhunnu vadas( prepare the balls and flatten as you slide them in oil;don't shape it before hand and keep else the cover may dry up). Heat oil in a wok or kadai and wait till oil is hot. Add a pinch of dough in the oil and check to see if it pops up then drop in the prepared vadas. Wait for 30 seconds before you flip the other side and continue to cook on medium flame for 2-3 minutes(Don't overcrowd the wok with vadas and leave enough space). Then put on high flame to bown evenly and drain on paper towels. Repeat the same step of frying till you finish frying all. 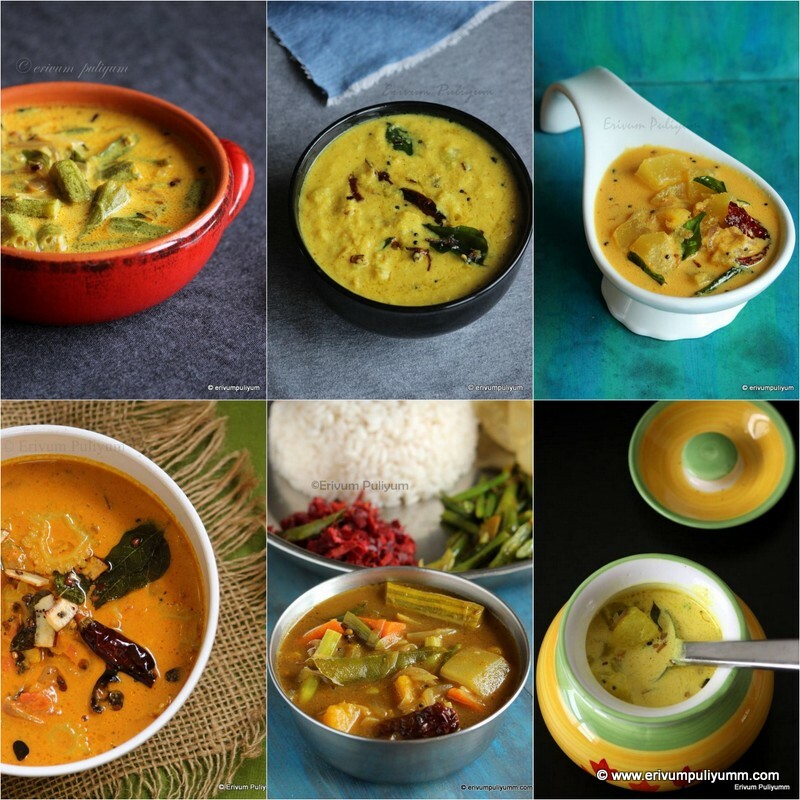 Serve hot with coconut chutney. The outer cover is crisp when hot but turns soft once its cold just like uzhunnu vadas. * You should mash the tapioca mixture very well to remove any fibrous strands and small pieces. It should resemble a smooth dough. * The rava and the tapioca mixture should be kneaded well to combine evenly. 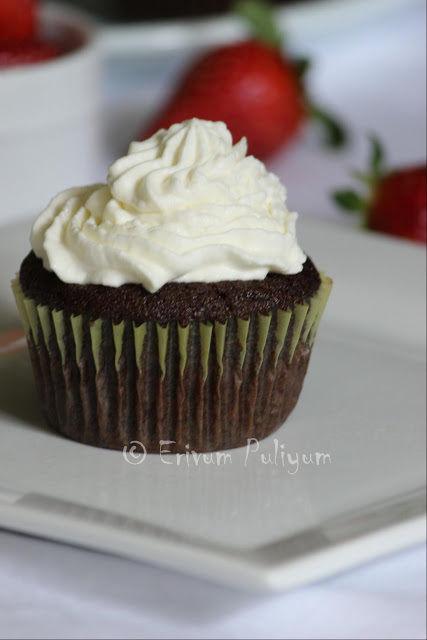 * I have used roasted rice flour in this recipe. * The dough shouldn't be very loose else it will soak up more oil while frying neither it should be very tight else the vadas turn hard. The correct texture is a soft ball that can be easily pressed down with finger to poke holes.